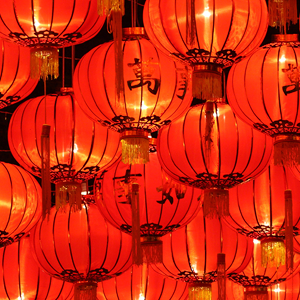 George Clinical in China would like to wish all of our clients, sponsors and investigators the best wishes for Lunar New Year. Traditionally this is a time for reflection and to look back over the past twelve months and more importantly to look forward to the year ahead. The past year has seen significant change for George Clinical in China with the establishment of the organization as separate legal entity and move to new state of the art offices in Haidian. We still maintain strong links with The George Institute in China and with our Academic colleagues both here and in Sydney. We have also added new Regulatory services and Business Development activities and look forward to serving new and existing clients in the New Year. We offer full service CRO activities in China and the Asia-Pacific Region backed up by World Class Scientific leadership and input to your clinical development plans. 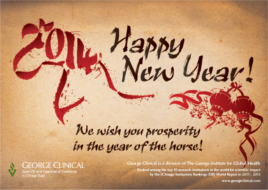 On behalf of all of the staff here at George Clinical we wish you a happy and prosperous Year of the Horse and look forward to working with you in the coming months.